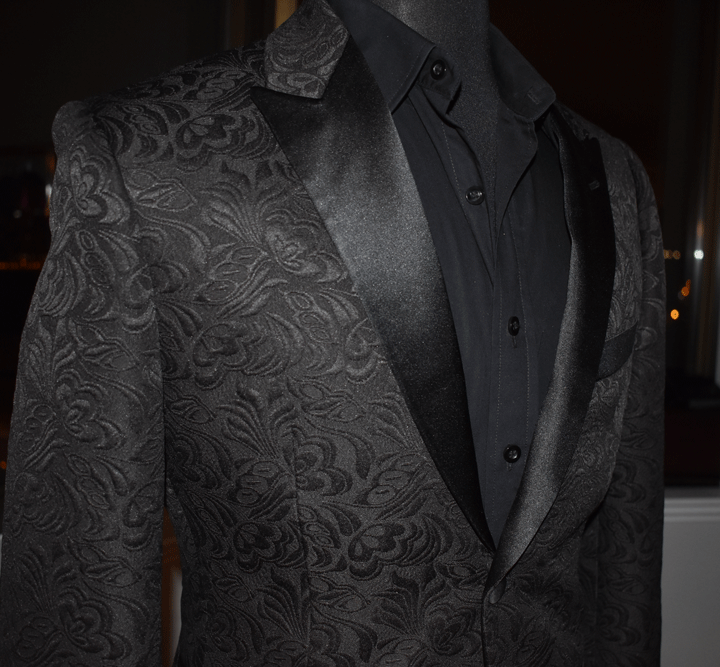 Our Black Dragon Blazer is the perfect jacket to make a statement anywhere you go. Choose your jacket size below or select “My Custom Measurements” to have the jacket constructed based on your body measurements. Upon purchasing your jacket, a Mr. Custom Made suit specialist will contact you to create your measurement profile. Your new jacket will have your name monogrammed on the inside and is protected by our fit guarantee. Enjoy your new premium blazer, exclusively made for you! 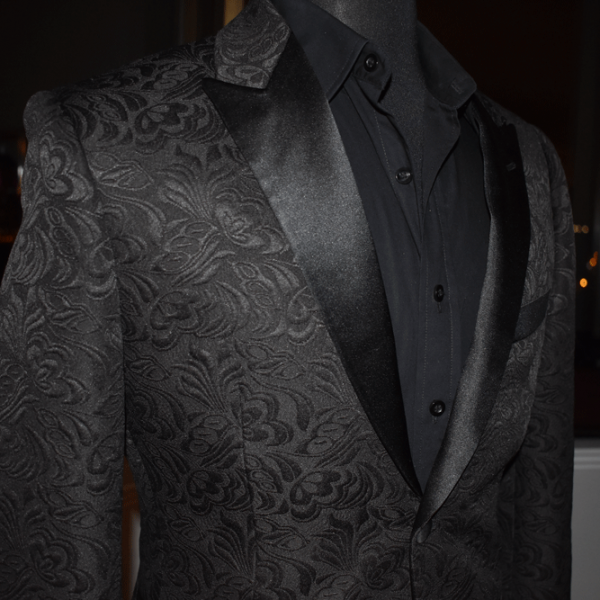 Mr Custom Made suits are built with top quality components and thoughtful construction. All our suit jackets are half or full canvassed for consistent use and durability. Once you place your order you will be contacted by a suit specialist to create your measurement profile and full customization of your suit. 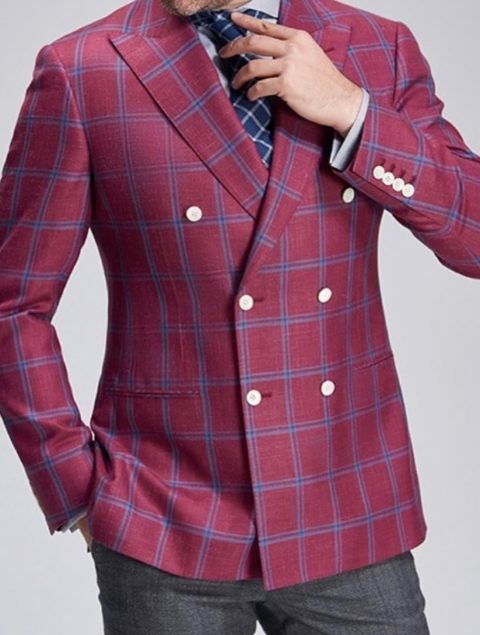 Our Red Window Pane Sports Coat is the perfect jacketto make a statement anywhere you go. Made from 100% Super 150s Wool, this is a high quality suit that will turn heads everywhere you go. You can order online or Schedule a Fitting in our local Showroom. If you purchase online, a Mr. Custom Made suit specialist will contact you to create your measurement profile. You will be able to choose your lapel style, lining, pockets and buttons for a suit truly custom made. If you prefer to keep it simple, we will use our recommend options to create your suit, exclusively made for you. 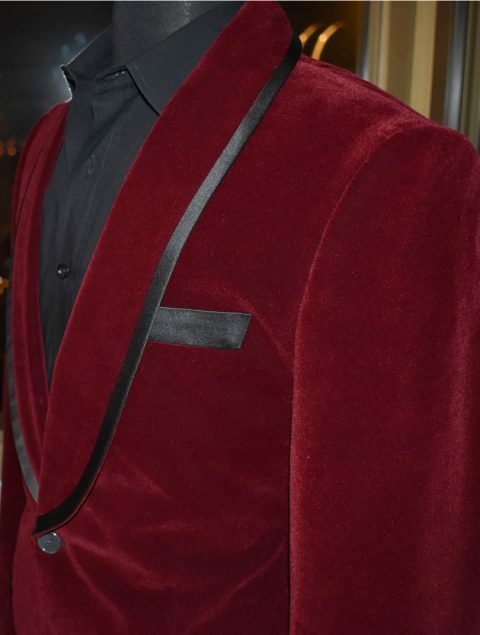 Our Red Velvet Dinner Jacket is the perfect jacket to make a statement anywhere you go. Choose your jacket size below or select “My Custom Measurements” to have the jacket constructed based on your body measurements. Upon purchasing your jacket, a Mr. Custom Made suit specialist will contact you to create your measurement profile. Your new jacket will have your name monogrammed on the inside and is protected by our fit guarantee. Enjoy your new premium suit, exclusively made for you! FREE SHIPPING. MADE FROM SCRATCH TO YOUR DOOR IN 3 WEEKS. Give the perfect gift this holiday season with a custom suit or shirt experience. Gift cards redeemable online and in store. The perfect gift for his wardrobe!